With the stupendous success of the Sony Xperia’s flagship model, Xperia Z and the upcoming Xperia ZR, the Sony seems to surge on new heights in the mobile marketing world. In some goners Sony predominantly has swathed of the other mobile giants like Samsung, HTC and LG in a big way. In the promotional launch of Sony Xperia L and Sony Xperia z in India, Sony introduced their yet another mid ranged mobile to the press. The two smart phones are namely Sony Xperia M and Xperia m dual smart phone. Both these two models come in with a pack with innovative new features of the Sony and both of them boasts of their great sultry design and outlook. In several parts of the designing the Xperia M range imitates its expensive sister phones to a large extent while it also brings in the get up of the curved panel at the back which was prominent in Xperia T. The Xperia M dual and Xperia M model sports a rather TFT screen with an unusual resolution of widescreen of 854 x 480. Sony has fitted in a discreet screen in the latest Sony Xperia M series, which pops in a notification light underneath the main screen. This is a customizable section which can be reset as per the needs like the settings of calls, alarms, messages that are coming in or the infamous updates from Facebook profile. 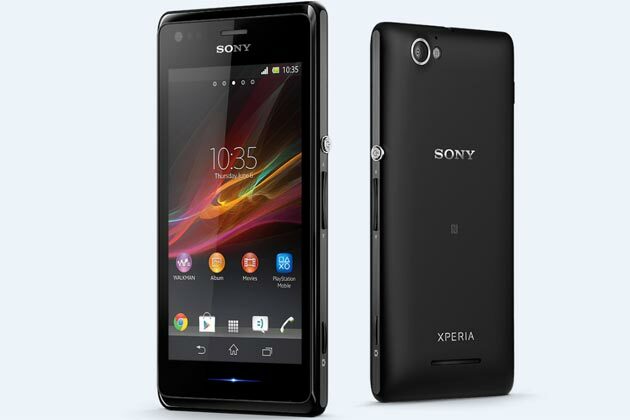 The Sony Xperia M comes in with the strength of 1 GHz dual core processor. The smart phone has a RAM capacity of 1 GB and it has an internal storage of 4 GB in it, out of the 4 GB internal storage which is in built in the smart phone 2. 8 GB can be accessed freely by the user at any given time. The Xperia M also has the expandable storage through the micro SD card slot, which can be easily generated to increase the storage strength to 32GB. In the rear part of the chassis of Xperia M there is 5 mega pixel camera with auto focus capabilities in built in it, it may not be as strong as the flagship model of Sony , Xperia Z but it has sensors of Sony’s Exmor RS and videos can be recorded to 720p. The camera also comes in with HDR capabilities. The operating system that the Xperia M will give its viewers is the Android jelly version 4.1 in built in it, as such no such confirmation news have been given by the Sony team regarding the upgrading of the OS. The latest released model from Sony, Xperia M will be available in market in four different color schemes- lime, white, black and purple colors. But the Xperia M dual which has the added feature of dual SIM accessibility will be found in three colors of black, purple and white. Regarding the amount of pricing of the latest released Xperia M series no such news could be gathered, but it is expected that the Xperia M will be priced at a similar range to its mid ranged Xperia L.